He was, according to those close to him, a man of few words. Talking about his feelings came far from naturally to Sir Kenneth MacMillan, but on-stage he spoke volumes. And 25 years after the Dunfermline-born choreographer died of a heart attack backstage at the Royal Opera House, his voice is still being heard loud and clear. 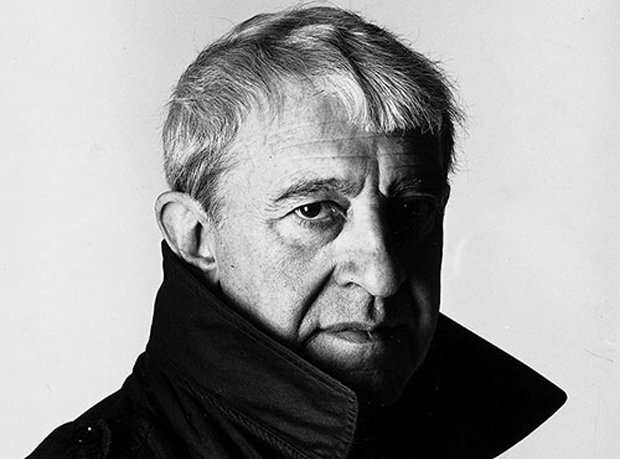 During his career, this most prolific of dance makers created ten full-length ballets and over 50 shorter pieces, which are still regularly performed by ballet companies around the world. A difficult childhood saw MacMillan's mother die when he was just 13, leaving him with a father who was mentally and physically wounded in World War I. It was to have a lasting impact, but gave him a drive to put real lives and real emotions on stage. It's this quality that appeals to both those watching, and those performing, his work. As official custodian of her husband's works, Lady MacMillan ensures that his choreography lives on as he intended. The pair were together from the early 1970s until his death in 1992, during which time Kenneth's tenure as director of the Royal Ballet was not without its challenges (his forward-thinking approach didn't always sit well with the more conformist Board). As such, Lady MacMillan is acutely aware of what Kenneth would, or wouldn't, have liked done with his creations. And, as a visual artist, her input and opinion is as important now as it was to him when he was alive. That involvement has been heightened this year, the 25th anniversary of Kenneth's death. At the heart of which is Kenneth MacMillan: A National Celebration, five performances at the Royal Opera House featuring dance companies from across the UK. And heading to London this October, to perform at the Convent Garden venue for the first time in its history, is Scottish Ballet. The company's artistic director, Christopher Hampson was a 9-year-old boy when he first encountered Kenneth MacMillan, touring with the Royal Ballet as a tiny torch bearer in Romeo and Juliet. Then, at the Royal Ballet School, Hampson worked with MacMillan directly, and vividly recalls what it was like having this revered choreographer in the rehearsal studio. Hampson remembers that Kenneth was 'always talked about as a disruptor – in a good way' and, like Lady MacMillan, cites Kenneth's ability to dig deep into a character's emotional world as one of the keys to his success. For the National Celebration, Scottish Ballet will be performing MacMillan's 1960 work, Le Baiser de la fée (or 'The Fairy's Kiss') which, according to Lady MacMillan, her husband 'always had a soft spot for, as it was his first really classical ballet'. The piece will form part of a triple-bill alongside Concerto, performed by Birmingham Royal Ballet, and Elite Syncopations, performed by dancers from The Royal Ballet, English National Ballet, Northern Ballet, Birmingham Royal Ballet and Scottish Ballet, all on stage together for the first time. 'The National Celebration was the brain child of [Royal Ballet director] Kevin O'Hare, but everyone who is involved with the celebration has had an input into the planning and programming,' explains Lady MacMillan. 'Kenneth made over 60 ballets during his working career, and I think the variety of works proposed for the Celebration goes a long way to showing the range of his talent, the subject matter and the music that fascinated him. Kenneth MacMillan: A National Celebration, Royal Opera House, London, Oct (dates vary). Two contrasting works set to the music of Stravinsky: The Fairy's Kiss by Kenneth MacMillan and Christopher Hampson's The Rite of Spring.